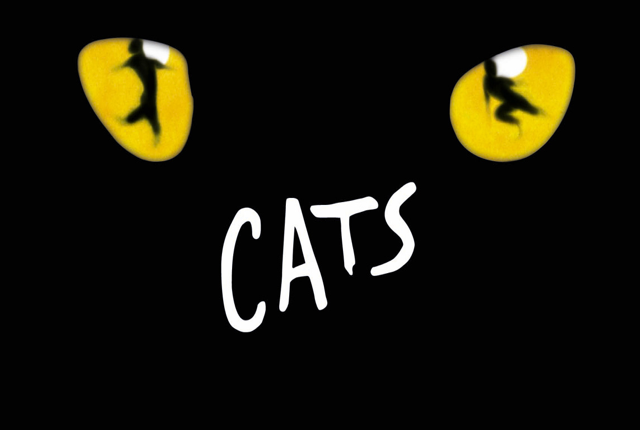 One of the most famous musicals across the globe, Cats has made its way into the Liverpool Empire Theatre. The reputation of the show, which dates back decades and is amongst the biggest theatre shows on Earth (a longtime prominence on Broadway), ensures that attendees are expecting something special. Fortunately, Cats came through by delivering a great experience with plenty of special effects and unique nuances, all of which ensured that this production was the cat's whiskers, as I will now explain in more depth. Cats tells the story of a series of cats roaming the streets at night, when everybody is asleep and the feline animals are able to live a little; the creatures come out at night, you might say. But this is no ordinary night; tonight, it is the annual Jellicle Ball, whereby the cats come together for a celebration, during which one of the Jellicle cats will be lucky enough to be chosen for a "rebirth" of sorts. Along the way, we are introduced to many different cats (one of whom facially resembled Gareth Bale), each with a unique personality trait; there's Jennyanydots (Lucinda Shaw), the Old Gumble Cat, who generally lazes around and enjoys a good rest; there's The Rum Tum Tugger (Marcquelle Ward), who is the joker in the pack; and then there's Bustopher Jones (Greg Castiglioni) who enjoys eating and eating; you may say that he is a fat cat! We are also introduced to Grizabella (Marianna Benedict). She is more than just a cat, she is an Iam's ... sorry, wrong thing. No, Grizabella is a Glamour Cat who left the group years ago but now wishes to return, much to the reluctance of the gang. However, things take an unexpected turn when it is clear that the bad cat Macavity (Javier Cid) is hanging around and looks to disrupt proceedings. After the Ball, we meet more cats, such as Gus The Theatre Cat (Connor McAllister), who recounts his life and times in a slow-paced, easy-going fashion (he is an elder statesman amongst the felines). But there is further trouble with Macavity, and Grizabella is still trying to claw her way back into the gang. Macavity orchestrates a kidnap of the much-loved Old Deuteronomy (Kevin Stephen-Jones), which has the cats fleeing for their safety, only to realise that their hero is still in danger. The cats look to enlist the help of magician feline Mr. Mistoffelees (Shiv Rabheru) to reunite with Deuteronomy, but will they be successful? How will Macavity be stopped? And where will Grizabella fit in as she looks to start afresh by being rewarded with a rebirth? The production is first-class. The set evokes memories of Toy Story in that, because we are watching life-size versions of smallish cats, everything on set is larger than life, from the oven to bike wheels to a car bumper to cereal boxes. The setting is enhanced by some very effective lighting, which ranges from hundreds of bulbs scattered around the theatre to the "cat's eyes" that come out at points of danger to the lit-up moon in the sky which, as with the household items, also stands out as being larger than life (this looks even cooler during the Gus melody when we see an outline of the Tower Bridge surround the moon). Other props such as a mock sailing ship, which again are large-scale, are introduced at various points and make for an even more effective presentation. Another key aspect of the show concerned audience interaction. I don't want to spoil the show in case you're planning to go, but just know that the action is not confined to the stage. This made the show even more exciting, keeping things unpredictable along the way, and some younger members of the audience (a couple of whom were dressed as cats to mark the occasion) were thrilled to be unexpectedly involved in the production. There are other small touches in the show, including some nice comedy moments, which are spaced out enough that they leave the desired impact. So, I am going to judge Cats on its true strength - the production. It would take nine lives to recap every single production element but needless to say, they all combine to provide an excellent night at the theatre. The well-written musical numbers (which are numerous and lengthy, meaning that the cast deserve tremendous credit for being able to learn all the lines along with the idiosyncrasies and the associated dance moves), the carefully-designed set, the simple yet effective costumes, the cool use of lighting effects, the neat use of props and the audience interaction which keeps theatregoers on their toes all deliver a fantastic package. Based on production, Cats is as good as it gets, and people of all ages will appreciate and love it (smaller children may get a little frightened!). Just sit back and enjoy the show - but don't take a cat nap, as you may find yourself unexpectedly interacting with some whiskered friends.